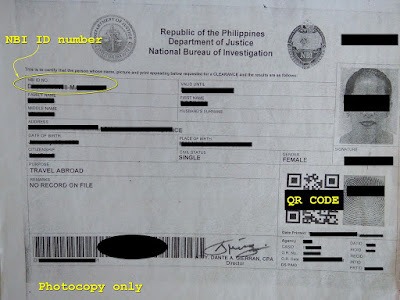 NBI (National Bureau of Investigation) Clearance is one of the most important document in the Philippines an employer requires to their employees before they get hired. It provides person's identity and an instant background check if a person has a bad or criminal record. 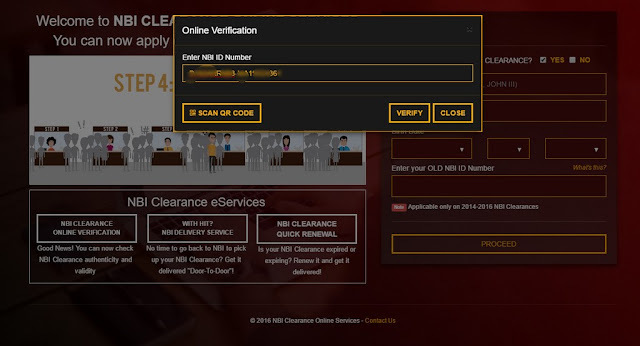 Obtaining NBI clearance now-a-days is quite easy. Registration and payment are now done through their website effective on December 27, 2016. For photo, biometric finger print, and printing of clearance, you have to set an appointment in advance before you go to their branch office. Same-day appointment is not allowed. Unfortunately, there are other ways to get an NBI clearance quickly, that is in Recto. Recto Avenue in Manila was the home of document falsifier back then. They make any kinds of fake government ID, diploma, school record, land title, and other public documents. As of today, I have not been there yet, so I have no idea if they still do it there. It was one of the problem of a person or a company who rely on NBI clearance for an applicant's identity and criminal record. They never knew if the document they have on hand was authentic or a made-in-Recto document. Good news is, NBI launched its other website specially made for application of clearance, registration, renewal, and verification. 1. 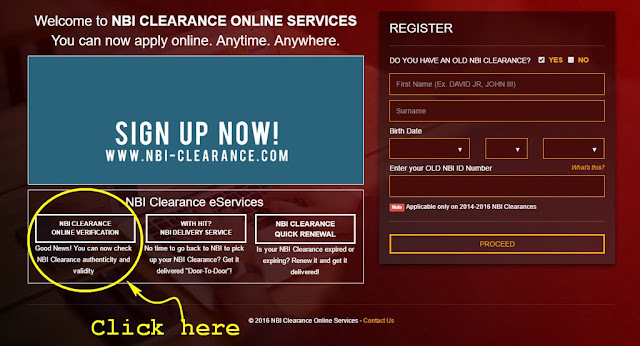 Just go to their website at www.nbi-clearance.com. The website works on all major browsers. 2. 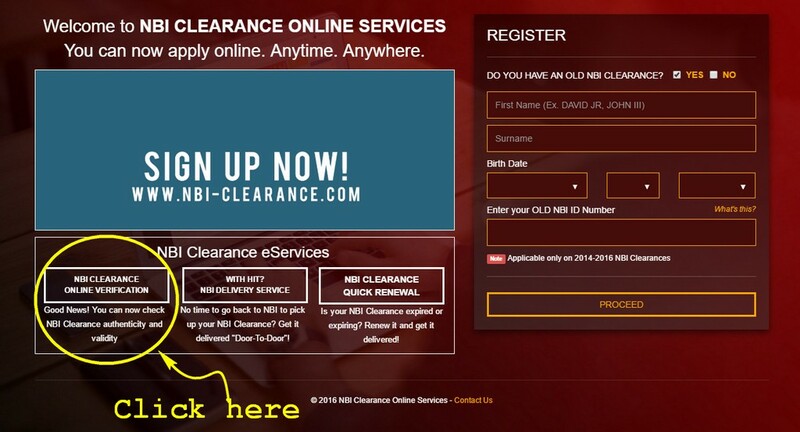 Click the "NBI clearance online verification" button, located at near bottom left of their website. 3. An Online Verification dialog box will pop-up, then enter the NBI ID Number in the text box and press enter or click "Verify" button. The NBI ID number is located at first column and second row of clearance or you may scan the QR Code (See the first picture in the page.). The NBI ID number is case-sensitve, so enter them as indicated on the clearance, all-caps and including dash. If the clearance is authentic, the picture, name, and status of clearance will appear. Else, "The system cannot find the given NBI ID Number" message will appear on the side. That's it, you don't have to be like James Bond to verify a person's identity and background. All you need is a device with browser, internet connection, and an NBI Clearance. For more information and other inquiries, you may call the National Bureau of Investigation's trunk line at 5238231 to 38.
hi. this post is very helpful. i just claimed my renewed nbi clearance yesterday and I am trying to verify it online but the system says that they cannot verify the given NBI ID number. How many days will it be updated on the system. I am worried because I have a visa appointment on tuesday. Thanks. Hi guys, did you try to verify yiur NBI Clearance again? I just got mine last week but until now still unverifiable. hi! 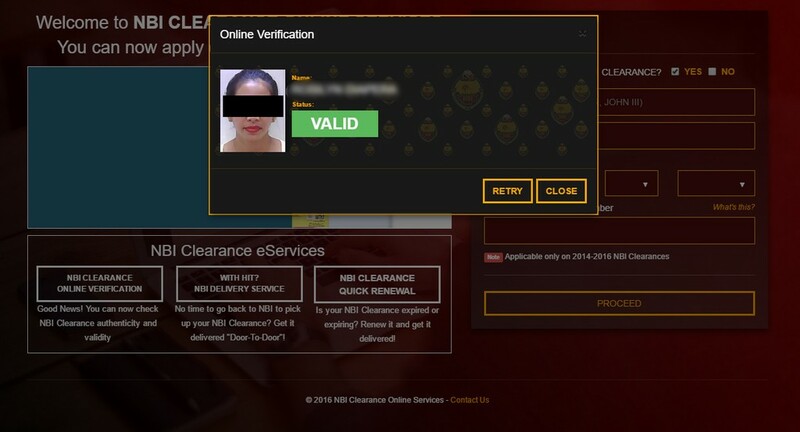 were you able to verify your NBI Clearance? I got mine on May 2, and until now wala pa rin. Im on the same situation as of this moment. I was asked to go to NBI main at taft avenue with no assurance that they could help me with regards to this matter. I’m from Batangas city and got my nbi clearance at nbi batangas satellite office. I knw there would be a discrepancy in our family visa application (PR visa Australia) especially I am the main applicant. Worst, they might think my NBi clearance is fake! Im so upset knowing it might take 6-7mos for the infos to be updated in their system considereing everything nowadays is computer generated. Where to find ID number for passport issued March 2013? Hi ask ko lang po pag po ba may utang sa avon or sa moola tas di na nabayaran aappear ba yun sa nbi?